Car Rental Available for Major Repairs. All our technicians are ASE certified and continue their automotive training and keep up to date with all the new technological advancements in the auto industry. 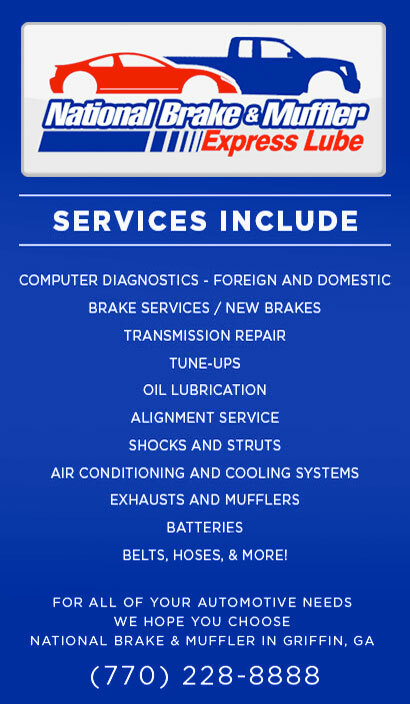 Here at National Brake & Muffler our technicians will take the time to explain to you what is wrong with your vehicle and give you advice to keep your vehicle in proper working order. For your safety and ours we are licensed, bonded and insured. We are positive that you will be satisfied with the work done to your car, truck, SUV or van and will leave with extra money in your pocket. Click Here for a RepairPal Estimate!